Sixty thousand people will be the sacrificial lambs of political expediency for this fall’s midterm elections. That’s the number of undocumented immigrants likely to be deported between now and November because Obama has broken yet another promise on immigrant rights. This time, the cause is Senate Democrats in tight races facing the right-wing, nativist hysteria surrounding the wave of young refugees from Central America on the border. The Senate candidates successfully lobbied the White House to delay a moratorium on deportations that Obama had promised to implement by now. As a NY Times editorial put it, “A political emergency collided with a human one, and the humans lost” (9/10/14). Earlier this year, after months of sharp criticism from immigrant rights activists who dubbed him “the Deporter-in-Chief,” Obama relented in words. Speaker Boehner’s admission that there would be no House action on immigration this year removed the political space for the White House to claim it was holding out for the ever-receding mirage of comprehensive reform. “It’s time for a president who won’t walk away from comprehensive reform just because it becomes politically unpopular,” Obama said in 2008. In a June speech in the Rose Garden, Obama vowed to sidestep the gridlock in Congress driven by hard-right Republicans in the House, promising to take executive action to halt deportations by summer’s end. Now the can has been kicked down the road again, with the promise of action shortly after the midterm elections are over. 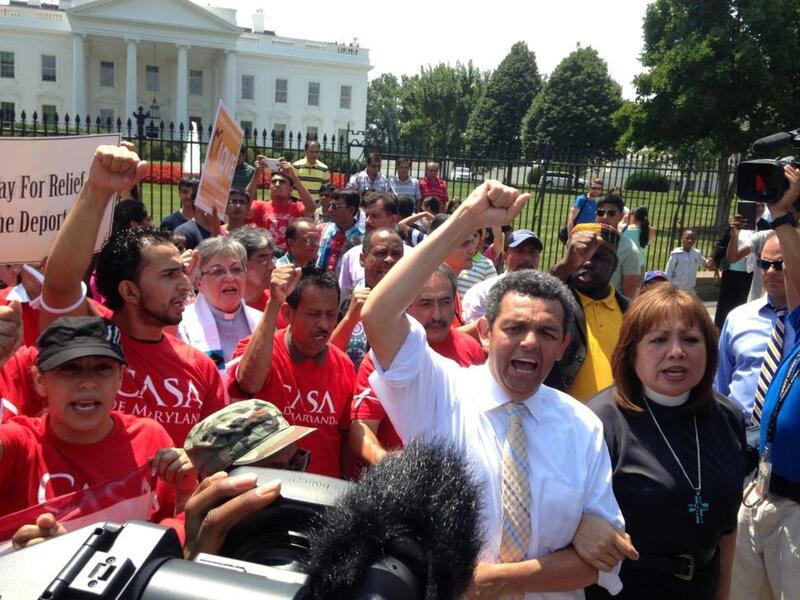 Anger at Obama and the Democrats on immigration has been brewing for some time. 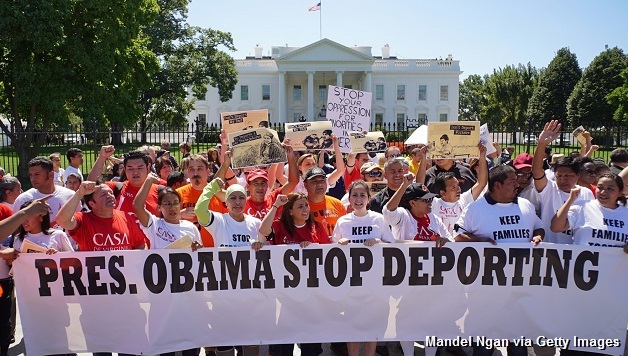 Obama has already set the record for the most deportations of any president in U.S. history. Contrary to claims that deportations have largely targeted violent criminals, the evidence shows that two-thirds of deportations have come from minor offenses like traffic violations (NY Times, 4/7/2014). Add to that resume a most extensive militarization of the border, replete with profiteering from private contractors. All of this was done in the name of convincing House Republicans that his administration takes immigration law enforcement seriously enough to be a partner in comprehensive immigration reform. It is an unquestionably failed strategy, and yet the president is once again doubling down along the same path. Only bigger, bolder mass action with complete independence from the Democratic Party shows a way forward. 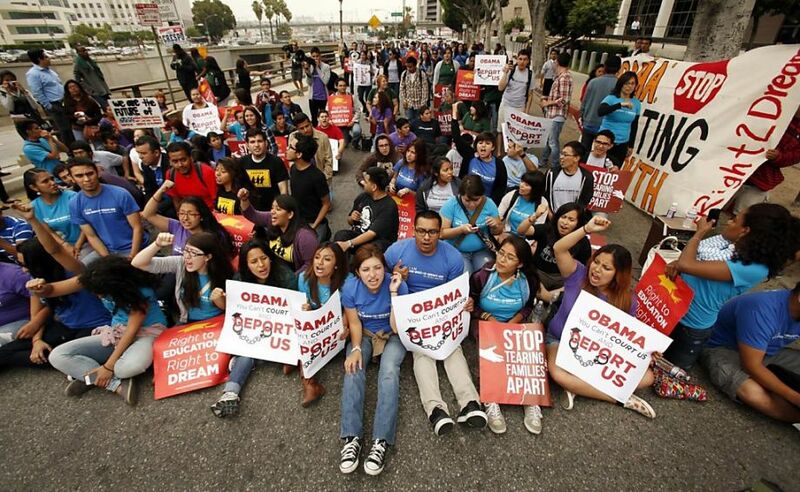 Already, protests have forced Obama to deliver temporary relief from deportation for hundreds of thousands of immigrant youth through the Deferred Action for Childhood Arrivals. We demand not only executive action to defer deportations for all 11 million undocumented immigrants, but also immediate and unconditional full legalization for all. To win those demands, the immigrant rights movement, supported by organized labor, will need a return to the levels of mass action carried out in 2006 – when millions protested and went out on strike – combined with running independent working-class candidates who unabashedly advance immigrant rights demands. Next articleCorporate Politicians Feeling the Heat — 15 NOW!